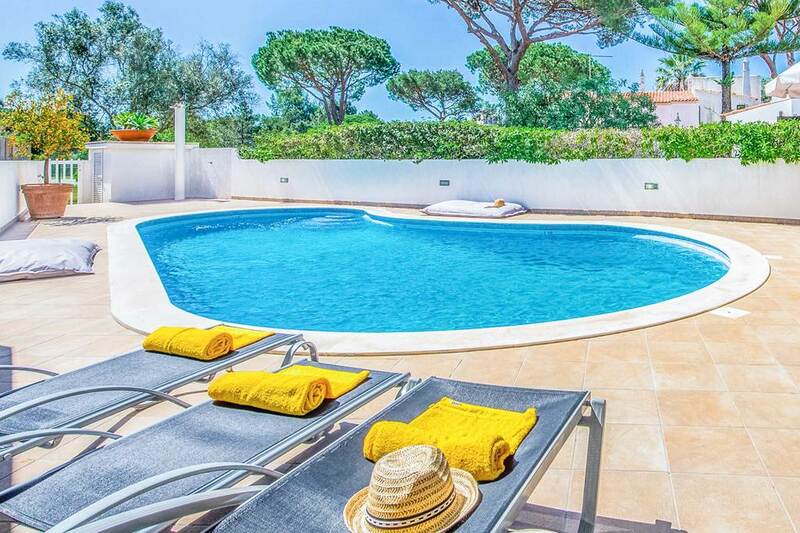 A wonderfully welcoming property, this stylish stay is a popular choice in the upmarket resort of Vilamoura. Elegant and well-designed, it's a great base for exploring the local area. With comfortable and modern furnishings, a large pool and outdoor dining area, you'll love spending days both inside and out. To top it all off, you've got a built-in barbecue to enjoy. Heaps of shops, restaurants and a lovely sandy beach are all within easy walking distance, so this place is a top choice if you're not renting a car. Vilamoura's yacht-lined marina is a glamorous place to spend your time people watching, while its gorgeous greens are great for golfers. In the evenings, the town's restaurants, bars and nightclubs come alive. The Portugal Masters takes place yearly at the Victoria Golf Course in Vilamoura. The tournament is part of the PGA's European circuit, and defines the Algarve’s position as one of the finest golf destinations in the world. As well as worldwide media coverage, around 40,000 spectators make the atmosphere absolutely dynamite! Many of Vilamoura’s bars and restaurants are dotted around the marina and, whether you’re looking for a lazy lunch, sophisticated dinner or a casual drink, there’s a lot to choose from. Most places have outdoor seating and there’s a great atmosphere with lots of families and couples. Vilamoura Beach, or Praia da Marina as it’s known locally, is next to the marina and can get very busy during the summer golf season. It's a lively stretch of sand, lined with bars and plenty of loungers. There are all sorts of exhilarating water sports on offer, including jet-skiing, banana boat rides and paragliding. Availability - Free Child places are subject to availability and are only applicable on selected accommodation / departure dates / departure points / room types and board basis. Free Child Places may be added or withdrawn at any time prior to booking and the latest availability will be shown prior to booking. Price and charges - The basic flight fare (including all taxes and non-optional charges), one piece of check-in baggage, accommodation and coach transfers form the ‘FREE’ element of the price. All other ancillary charges on the flight or during the holiday, such as legroom and in-flight meals, room upgrades, and optional meal arrangements, and for villas, pool heating, shall be chargeable. Other passengers required on booking - one Free Child place is available when there are at least 2 passengers paying the full adult price. There can only be one Free Child place per room on the booking (except for villa products where there can only be one Free Child place per villa). With the exception of villa products, multiple Free Child places can be booked as long as there are at least 2 passengers paying the full adult price per child place and each Free Child place is assigned into a different room and there is availability of free child places. Where a party consists of one adult and two children, one child will be charged the full adult price and the other child will receive the Free Child place. Child Age - The child age where a Free Child would be applicable is displayed on the accommodation description page of the brochure and on our website. The child age on the date of return must not exceed the specified age to be applicable to a Free Child. Deposit - The full deposit must be paid for the Free Child place and the deposit will be deducted from the final holiday invoice. This will be displayed at time of booking. Cancellation - If you cancel your holiday there will be a £60 charge payable in respect of the child, in addition to any charges set out in clause 5 above. Changing your holiday - If you change your holiday then, in addition to the terms set out in clause 5 above, you will be obliged to pay the new price of the new holiday (less any deposit) and the amendment fees per person in place at that time if you change from: (i) a holiday with Free Child availability to one without Free Child availability; or (ii) a holiday with no Free Child availability to one with Free Child availability. 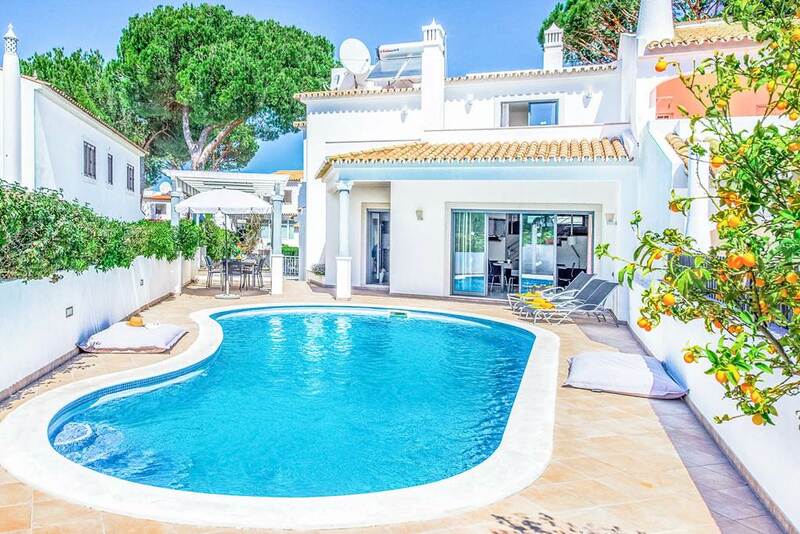 However, if you change from a holiday with no Free Child availability to a holiday with Free Child availability, this shall be treated as a cancellation, the terms set out in clause 6 above shall apply and you shall be obliged to pay the new holiday price, including a new deposit, together with a the relevant cancellation fees for the original booking. Your original deposit shall not be refunded. Where we change your holiday – no compensation is provided for Free Child places. All other terms and conditions as per the Jet2Villas website apply.